We love the sparkle and romance of the Juno cape. 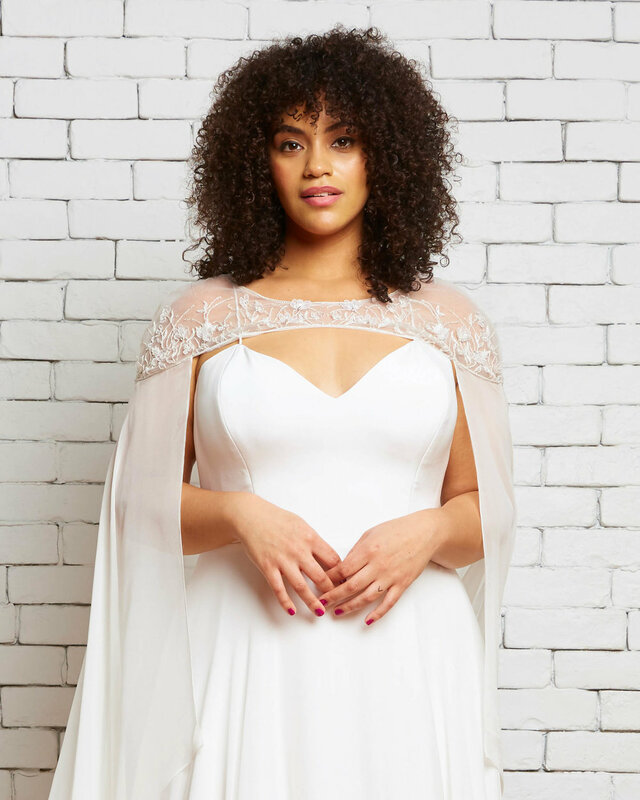 The shoulder yoke is embroidered in three-dimensional flower appliques, and the extra long silk chiffon cape flows behind you in the breeze. We love this worn over the Daisy or Brynn gowns.